Smart. Passionate. Professional. Diligent. Energetic. Tuesday is bringing a passion for helping people, and 20 years of people-oriented office management experienc, to pursue a career in real estate. Tuesday's desire to help people, and work experience, has helped her learn how to be patient and detail oriented helping clients feel at ease and satisfied. Whether you're buying or selling, Tuesday will work tirelessly with your best interests in mind. Tuesday has been a lifelong resident of the Marion/Grant County area, graduated from Mississinewa High School in 1992, and has worked in office management at Bruner Dental Center for 20 years. She is very familiar with the communities of Grant County, how they are unique and what they have to offer. Tuesday's strong familiarity with the communities of Grant County will definitely help you open the door to your perfect home. Tuesday and her husband Jeff have been married for 21 years, Jeff is an educator and coach at Eastbrook High School, and you will often see Tuesday at numerous athletic events throughout Grant County supporting her husband and the athletes. They have no children of their own, but they both are very committed to making a positive impact on student-athletes lives. Tuesday Liddick will work tirelessly to meet your buying and selling needs. She will be there from the beginning of the process to the end and will happily help you open the door to your new home. 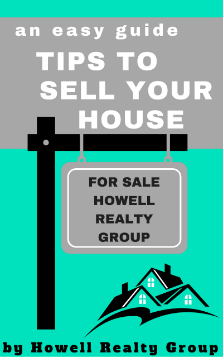 Tuesday is a welcome addition to Howell Realty Group to better serve the real estate community. "I always believe the customers' needs and concerns are priority one. I want to be available to my customers and work with their best interest in mind--all the time."